Do you want more Pinterest traffic? Looking to get more eyeballs on your content and more traffic to your website and shares of your content? In this post, I break down 5 ways you can optimize your visual content to get better results on Pinterest.. and more Pinterest traffic. I’m a big fan of Pinterest. I have been for a while. It sends honest-to-goodness quality traffic without all the grunt and hustle that you need to perform to do well on Instagram or Facebook. Who doesn’t love the idea of doing less and getting more? I know I sure as heck do. Why Is Pinterest The Easiest Social Platform To Get Results On? Think about it – you don’t have to create stories, edit long form video or spend hours engaging, commenting, liking and DM-ing to get Pinterest Traffic. If you literally did none of that you can still get results on Pinterest. And even better.. you can do well on Pinterest if you have few followers. It’s possible to get solid views, traffic and results with a small account. Why? Because it’s search based, and there are easy tools that allow you to create awesome visuals and share your content quickly and easily. What’s more… your visuals on Pinterest have longevity in that they get shared for months and years down the track. I’ve got pins showing up on Pinterest from years ago. So yes, there’s a lot to love about Pinterest and Pinterest Traffic. Before we dive into how to create visuals that drive traffic on Pinterest I’ve shared below a series of posts that will go through the basics of Pinterest and how it works, so you can dive into them at any time. 7 Pinterest Strategy Tips You Need to Know (From Pinterest). So… all the wonderful advantages of Pinterest aside, in this post, we’re breaking down 5 top strategies for getting your content discovered, clicked on and shared on Pinterest. It all revolves around the Pinterest Smartfeed. The Smartfeed decides how to rank content that a user sees on Pinterest based on their search patterns. The Smartfeed is essentially Pinterest’s Algorithm for deciding which content will get ranked (or which pins will get ranked) on a Pinterest user’s search. You can also get your content found by hashtag search (similar to other platforms where users can click on a hashtag in any pin description). The Follow Tab is also a new space where Pinterest distributes content to people who follow you or your boards. It’s a great way to see content from people you like and follow! There are a number of ways you can increase your chances of getting more Pinterest traffic and shares, but here are 5 that you can get started with. 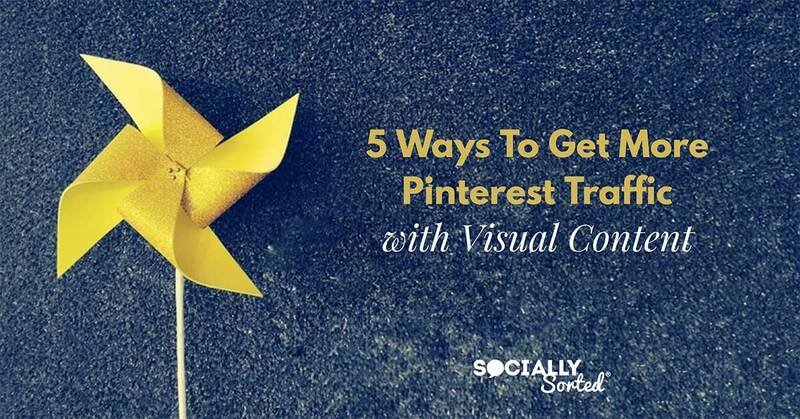 They all focus around your visuals for Pinterest! Pinterest wants you to pin images that are 2:3 aspect ratio or 600 x 900 pixels. From what Pinterest is saying, there will be preference given to 2:3 aspect ratio pins over time vs longer pins, especially really tall “giraffe” pins. I am still seeing some of the best shares from my site coming from posts with infographics in them. Make them super useful. Don’t make infographics for the sake of it. Make them useful and also create them so that they encourage people to share, save and click through to read more on your blog or website. Avoid making them super long. If it takes 30 scrolls to get to the end, it should be an e-book not an infographic! Even 2:4 or 2:5 aspect ratio is plenty of space to add some helpful content with a call to action, using engaging data in visual form. If you go too long it becomes too cumbersome, even on Pinterest. 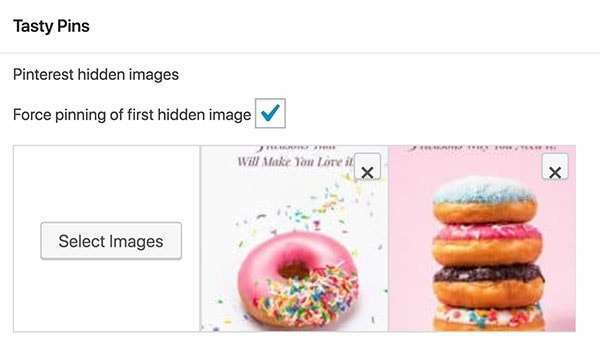 And Pinterest will likely truncate the content on the Pinterest Smartfeed so make sure the most important information is at the top of the graphic. Pinterest has said that images longer than 1260 pixels will have lower chance of being prioritised for distribution, so keep this in mind. Experiment! Add an infographic to some posts and see how they fare. If they get good shares and traffic, keep doing it. If they don’t… adjust your strategy! At this stage, it’s too early tell, and personally I hope we can continue to post them and get results with them. Images with text add context, and tend to get shared well and drive the most Pinterest traffic. 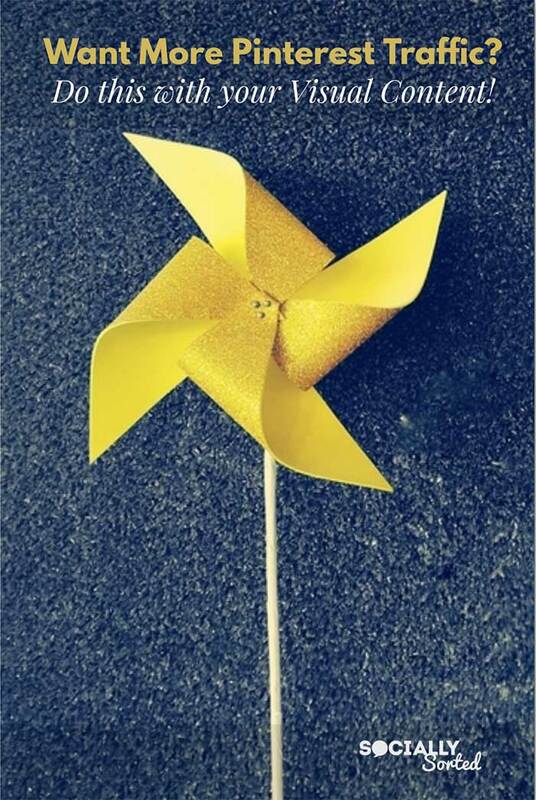 Think about the reader and how they can quickly get some sense of what the pin is about by glancing at the image. Don’t just restrict yourself to adding the title of the blog post. Yes this adds context, but you can get creative here. Try adding a sentence that shares the benefit of the content or perhaps teases us to find out more. Maybe even ask a question. Use fonts that stand out. It’s great to find the latest handwriting font that you simply love, but will it be easily read and understood on a busy Pinterest Feed? You want your fonts to be nice, but also striking and easily readable. Match a great image with great text. Don’t overpower the image with text. Make it large enough to read and small enough so that it doesn’t obscure your entire pin. Add a logo but do so with caution. It’s great to brand your images but do so subtly. Don’t make the logo the biggest part of the image! Keep it small and consistent across images. You can also brand with colors and style so find a style that suits your brand so that users will recognise your images. Keywords, Keywords, Keywords…. and Hashtags. Pinterest is a very powerful search engine, so you should always be thinking “Keywords” when it comes to getting more Pinterest Traffic. It’s the best way to get your content discovered in the Pinterest Smartfeed. Make it Relevant. Your description needs to be relevant to the image and to the content it leads to. Don’t overstuff your keywords. Pinterest is like Google – it likes a taste of keywords but not a full buffet. Don’t stuff your description full of the same keyword or it doesn’t feel natural. Add keywords, but naturally so that the description reads well, makes sense and adds context to the visual content, blog post or website page it is referring to. Think “Storytelling”. If you can tell a story around your pin or image (and the blog post it leads to) then you’re more likely to be successful on Pinterest. Help users to discover what they will be clicking through to from the minute they read your description. Write headlines like you would for a magazine, to intrigue us and sell the idea of opening up the magazine to read the article. The only difference is that in this case, you’re encouraging us to click through to read more on your website. Put your most important hashtags first. You can add a couple of hashtags to your descriptions. I usually aim for 2-4 (mostly 2-3). Aim for the most important information (keywords and hashtags) to be in the first 60-65 characters so they show on preview in the Pinterest Smartfeed. Add clear calls to action. Use words like buy now, shop, discover, download, sign up, join us, etc. Don’t be afraid to give directions, but also ensure that you deliver what you promise and give value when people do take action. Perhaps the most important thing to remember is to create better images in the first place. This one might seem simple but it’s true – the better the images you create, the more they will catch attention. I hate to say it but for all the engaging images on Pinterest there are a lot of bad ones too. 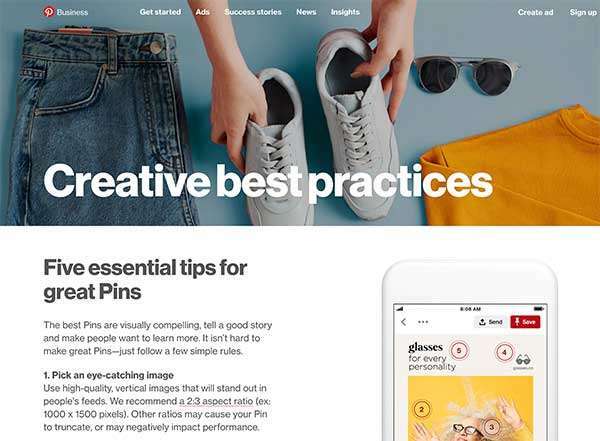 A good place to start is to check out Pinterest’s Creative Best Practices for tips. You can read the post here. If you create engaging images that stand out – you’re more likely to get noticed. Especially when you add in a few of the tips we’ve already discussed. Use quality photographs. If you are using stock images, search creatively so that you can find images that stand out from boring stock photos. Sometimes adding more descriptive search terms can show up some gems! You don’t want to be using the same stock image that everyone else is or nobody will click on it. People like new and different on Pinterest. We love to discover things! Use your own photographs. There’s nothing better than your own, original, quality photographs. Invest in a decent camera (it’s not that hard these days as our phones are decent cameras) and experiment with taking shots, lighting and backgrounds. You’ll get better just by taking photos. The end result is an original photo that will stand out on Pinterest – because nobody else has seen it before! Add a filter. Sometimes adding a filter over a background photo can make your text pop when you overlay it. Experiment with what makes your images stand out! Create more than one image at a time! One thing that Pinterest loves is fresh content pinned from your website. So, consider creating more than one pin or image at a time. That way you have fresh content to rotate. As you can see, I can easiy create a number of these, changing the title each time to make the viewer curious and want to click through. You can use a WordPress Plugin like Tasty Pins to rotate the pins you share on your blog posts. Or you can lock in the pin you want people to share when they come to your blog or website. I use it on my blog and would be lost without it! Hot Tip! – if you find that a pin is successful on Pinterest (getting lots of shares and driving a lot of Pinterest traffic) then consider turning that style into a template and creating more similar pins. The main thing is to get started and start adding optimized visual content to your blog or website! At the end of the day, great visuals are the best way to entice people to click through and visit your content. That means more Pinterest traffic for your website. Alt-Text is a way that we can tell Google what the image is actually about. It’s for text readers or those that can’t view the image itself. Alt-text tells them what the image actually is. Historically the default Pinterest description is the Alt-Text, however that isn’t ideal, especially when you want to add hashtags to your description as Google doesn’t need to see hashtags. We’re in luck though, because this is another great feature of Tasty Pins. It allows us to create a separate “Pinterest” Description. This way you can still write your description of the actual image for Google (the Alt-text), but then write a separate Pinterest-optimized description. Put simply, Alt-text is about the image itself. The Pinterest description is about the content that awaits when someone clicks through on that image. Awesome, right? 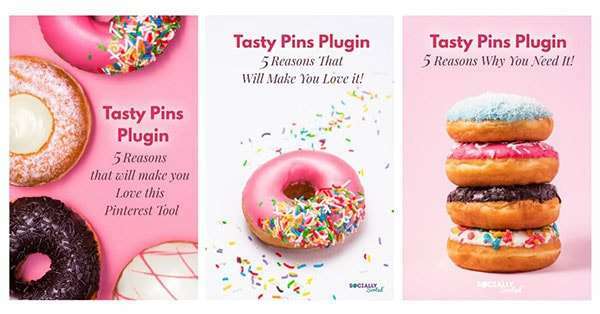 You can find out more about Tasty Pins here in my post about it or purchase the plug-in here. Tasty Pins has a whole bunch of other cool features like being able to force the pinning of hidden images, remove the ability to pin particular images and more. But the Pinterest Description is one of the most important features in my opinion – because it helps your content get found. I use it for every single image on my blog now – and I definitely wouldn’t be receiving as much Pinterest traffic to my blog without it! In summary, Pinterest is a huge opportunity for anyone with a website to attract more Pinterest traffic and get eyeballs on your content… and people taking action too! If you optimize your visual content for more Pinterest shares using the tips in this post, you’ll start to see results with Pinterest. And the best part is, it’s not a huge amount of work! Are you using Pinterest as a key part of your content and social media strategy? Are you using any of these tips for optimizing your images and getting more Pinterest traffic? Which ones will you be adding in now that you’ve read this post? ← 60+ February Social Media Ideas – Video Ideas, GIFs and more!